Store attachments received via incoming email, and executed contracts. 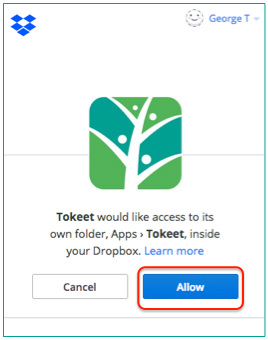 Please follow the below steps for connecting your Tokeet account to Dropbox. 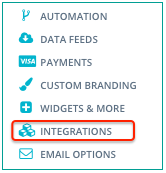 On the Integrations page, locate the Slack section and click "Connect"
Click "Allow" to allow the connection between Tokeet and your Dropbox account. That's it! Your Dropbox connection is now active. Email attachments and signed contracts will now automatically be stored in a Dropbox folder called Tokeet.